Villa in Kalkan - If you are looking for a villa that combines true luxury, clean contemporary design, space in abundance, and what has to be one of the most spectacular views in Kalkan. Villa in Kalkan - If you are looking for a villa that combines true luxury, clean contemporary design, space in abundance, and what has to be one of the most spectacular views in Kalkan, then read on! 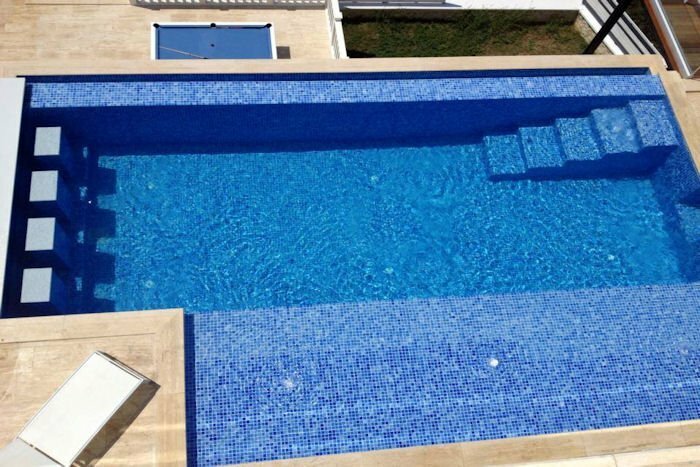 Brand new stunning six bedroom luxury villa. Beautiful, architect designed, it nestles on a pictureque hillside in the corner of Kalamar, one of Kalkan's most beautiful and peaceful areas. The views are second to none - the villa looks out over the whole of Kalamar Bay, taking in the Caretta headland, the islands, and the marina in Kalkan. The internal design has been configured to ensure that guests benefit from the amazing views throughout the property. All rooms are very spacious, with all six exquisite bedrooms with their very own luxury en-suites, and four out of the five have very large private balconies/terraces, all with spectacular views. As you would expect, the villa is equipped to a very high standard, and is air conditioned throughout, plus beautiful travertine marble flooring which is lovely and cooling in the height of summer. Villa Bicimili is a luxury house where everything has been carefully considered for our guest to have a truly special villa holiday experience. Unlock your Perfect Luxury Villa holiday experience at the Villa Bicimili.